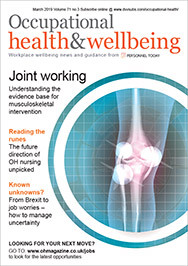 With the NHS facing a funding crisis, occupational health could be among the functions targeted for cuts and efficiency savings, according to a report in the trade magazine Health Service Journal.. The magazine reported in August that, according to NHS Improvement, which oversees foundation and NHS trusts, OH could be one area sitting within the HR function that trusts should “prioritise in consolidation plans”. In June, NHS Improvement chief executive Jim Mackey and chairman Ed Smith wrote to trusts asking them to begin planning how their back-office and pathology services could be “consolidated on a regional basis” as part of reducing the service’s burgeoning deficit. In an email sent to trust chief executives, NHS Improvement said it had received queries about which back-office services should be included in the plans. As a result, it listed a range of areas, including occupational health. The revelation comes as, separately, Dr Richard Heron, president of the Faculty of Occupational Medicine, made the case that the profession’s profile and recognition has never been greater with employers, as well as within Whitehall and more widely. Ahead of faculty elections, he wrote in a blog: “The profile of occupational medicine and occupational health has risen nationally over this time; we have contributed to increased access to occupational health advice and the chances of that being safe, effective advice. “Significant investments are being made by the Government to deliver occupational health advice through the “Fit for Work” programme. “Doubtless, there are opportunities to improve this and help more people get into, and stay in, healthy work. We have been invited by the NHS chief executive to advise on how occupational health in the NHS can be strengthened, and with our support, introduce financial incentives to encourage trusts to invest in the health and wellbeing of NHS staff – we know these are directly relatable to patient safety outcomes. 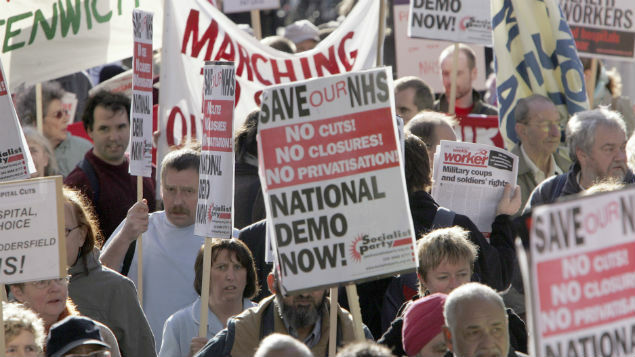 “NHS leadership is increasingly recognising ‘return to work’ as a marker of the success of clinical treatment,” he said. Yet, at the same time, Heron highlighted the fact that, while the historic decline in training numbers had been stabilised, there has yet to be any increase in funding. “We are attracting increasing numbers of applicants from diverse backgrounds for existing training posts and, sadly, having to disappoint a number of promising applicants. There is also an increasing recognition that in a multidisciplinary specialty, the unique contributions made by occupational physicians are essential,” he added.